St. Patrick&apos;s Day is all about going green. Green beer, food, jewelry, clothes, rivers and basically anything else that can be changed to celebrate the color of the holiday weekend. In Loudoun, we are going green for St. Patrick&apos;s Day too, but I&apos;m not talking about enjoying green wine (even though you can do that at 868 Estate Vineyards). Going green in Loudoun means celebrating all of our environmentally friendly attractions from turning sunshine into wine to solar-powered spirits and everything in between. 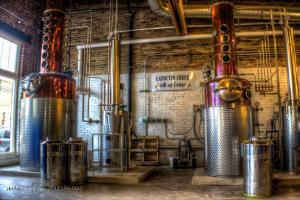 Catoctin Creek Distilling Company is the first legal distillery in Loudoun since Prohibition. Not only are they a leader in the production of delicious spirits, but they are also a leader in sustainability. In 2013, Catoctin Creek installed solar power on their production facility/tasting room. Their solar plant offsets about 85% of electrical use in the distillery. Want more in-depth information? You can see a real-time update on how much energy is being produced at Catoctin Creek on their website. Sunset Hills Vineyard is committed to sustaining the beautifully green environment that serves as their vineyard&apos;s backdrop by utilizing innovative, green technology wherever possible. They are turning sunshine into wine with 245 solar panels that have been installed on their 140 year old Amish restored barn. These panels supply 100% of Sunset Hills&apos; electric needs and is the largest producer of solar energy in Loudoun! Visit the vineyards to see the barn and taste delicious wine. 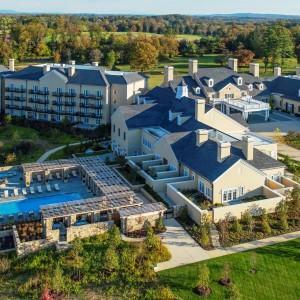 In 2014, Salamander Resort & Spa, a luxury resort in Middleburg, was awarded the prestigious honor of being LEED certified for their commitment to sustainable practices. To receive this award, Salamander planted 2,000 trees, started an on-site Culinary Garden providing fresh products to the kitchen and placed 200 of the 340 acres into a conservation easement. Go green this St. Patrick&apos;s day and book a sustainable getaway to Salamander Resort & Spa. Sustainable. Eco-friendly. Environment preservation. Low carbon footprint. These are the words that North Gate Vineyards focused on when creating their green tasting room in Loudoun. The winery and tasting room is solely powered by solar technology and consists of 96 solar panels. The tasting room is also LEED certified not only because of their solar energy, but also the unique use of reclaimed and recycled materials such as local reclaimed wood, recycled wine bottles, bamboo flooring and more.